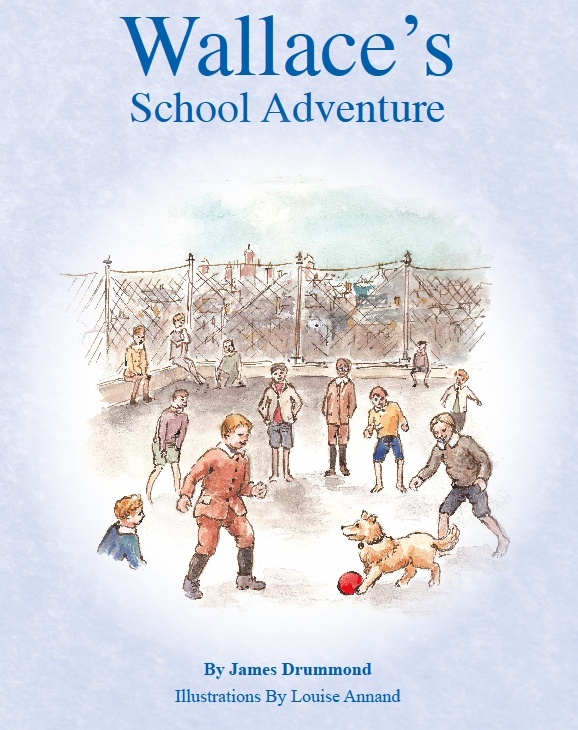 Glowworm Books first became involved with publishing in 1998, when the company commissioned their first publication The History of Scotland for Children. This led to the amalgamation of Glowworm Books and The Amaising Publishing House in 1999. We distribute direct to retail and wholesale outlets, our books are available from bookshops throughout the U.K. If you would like to order direct by secure Internet connection in the U.K. we now have our online shop available. If you are in the USA or Canada, you should be able to purchase our titles from amazon.com - In the event you have any difficulties with that, then do please contact us and we will do what we can to assist. Also please note that our publishing schedule is firmly set until 2019 and manuscripts are not being accepted for the foreseeable future. Specification 36 page paperback, 269 x 214mm, full colour throughout, illustrations on every page. Suitable for children aged 4-8 yrs. Overview Wallace was going about his daily routine when word came through that the school his friends attended was on fire. The Fire Engine, with Wallace running in front, made their way to the school as quickly as possible. Wallace was a little concerned as his friends were in danger! When they arrived at the school the fire was well underway, but thanks to Miss Gillies and Wallace, all the children were evacuated safely. Using the records of a hundred years ago,has written a series of books about the adventures–amusing, exciting and sometimes downright dangerous–of Wallace the Fire Dog, one of the most colourful citizens of Old Glasgow. Originally published in 1990, this 2014 edition was created on behalf of the Scottish Fire and Rescue Service Heritage Trust. Overview The stray retriever dog “Wallace” was adopted as a mascot by the firemen at Glasgow’s Central Fire Station. On duty, he wore his uniform–brass medal and two little pairs of leather boots–and accompanied the horse-drawn fire engines as they galloped off to the scene of a fire. Off duty, he joined in the fun as the firemen’s children played in the station yard, the busy streets or down on Glasgow Green. 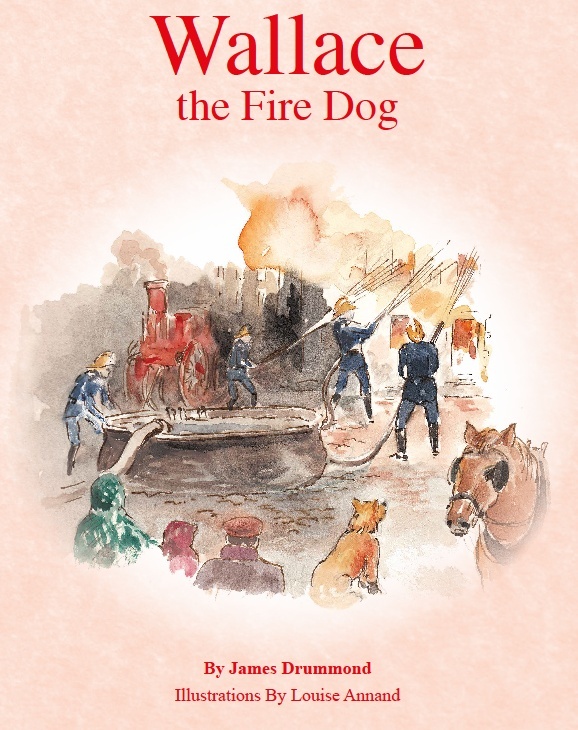 Using the records of a hundred years ago,has written a series of books about the adventures–amusing, exciting and sometimes downright dangerous–of Wallace the Fire Dog, one of the most colourful citizens of Old Glasgow. Originally published in 1989, this 2014 edition was created on behalf of the Scottish Fire and Rescue Service Heritage Trust. Specification 138 page paperback, 297 x 210mm (A4), full colour throughout, illustrations on every page. Suitable for children aged 6-12 yrs. Overview The original book, published on 1 July 1999 to mark the opening of the Scottish Parliament in Edinburgh, has been re-edited and brought up-to-date in this brand new edition. This one volume history of Scotland guides children through major historical events in Scotland's history. People, events and places are introduced allowing children to follow the sequence of events that shaped Scotland as a Nation. Starting from prehistoric times and running up to the referendum question date being set for September 2014, this book is the most comprehensive introduction to the history of Scotland available for Primary aged children. It is the thread which links individual study topics undertaken in the classroom and it allows pupils to put the past into perspective. Specification 48 page paperback, 148 x 210mm (A5), two colour, illustrated. Suitable for children aged 4-7 yrs. Overview My Own Little Book of Words is designed to fit pre-school / early school age and give children their own personalised dictionary. A selection of words for each letter of the alphabet are pre-printed in the book as a starting point, it also makes use of colour and drawings to assist the learning process. Copyright © 2018 Glowworm Books & Gifts Ltd.